It has only hit me that it is the end of March. We are now a quarter of the way through 2013. It’s crazy. The time is going so fast. I think one of the reasons I find this hard to believe is that there isn’t a sign of any leaves budding on the trees. In fact, in these pictures it looks more like autumn than spring. But they are definitely spring photos as this is what I wore today to run some errands. 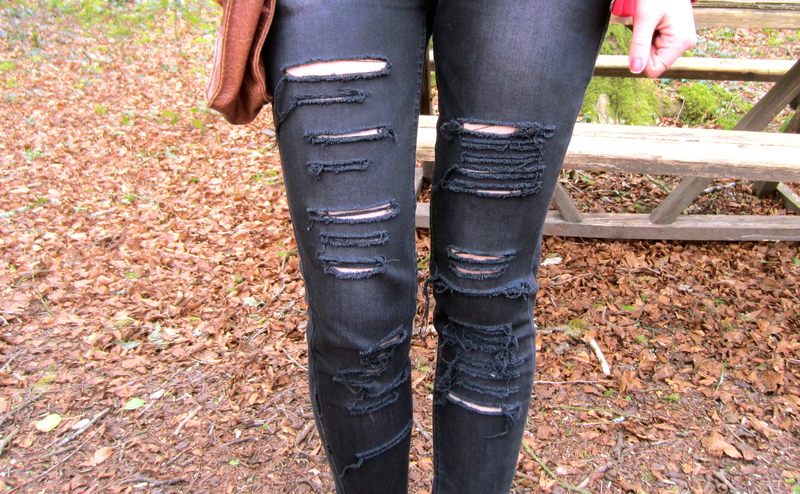 I love these ripped jeans from Bershka. They are just awesome. They have faded quiet a bit through use but they are still fab! Every now and again I check Bershka’s website to see if they have them back in stock because I would buy another pair in a heartbeat. 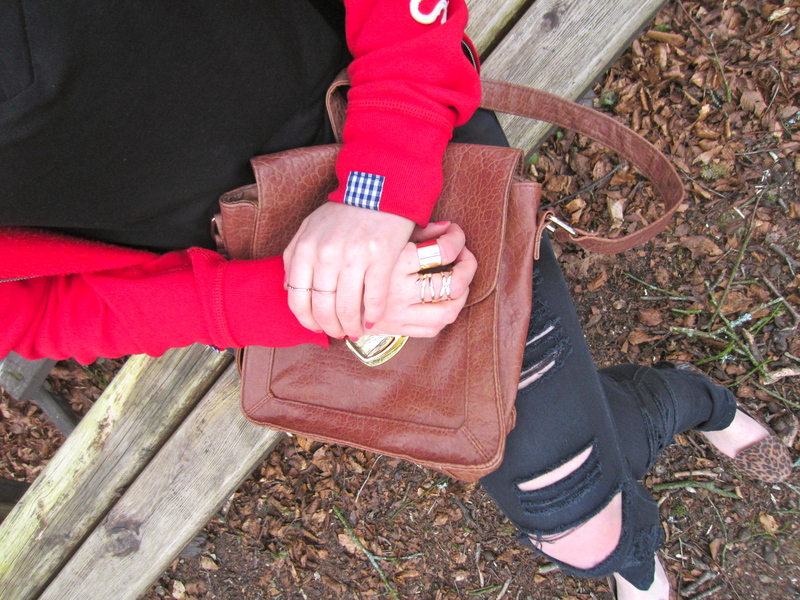 I wore them with my new black H&M t-shirt that I showed you in yesterday’s post, my red Gilly Hicks hoodie, and a tan bag and leopard print flats from Penneys. 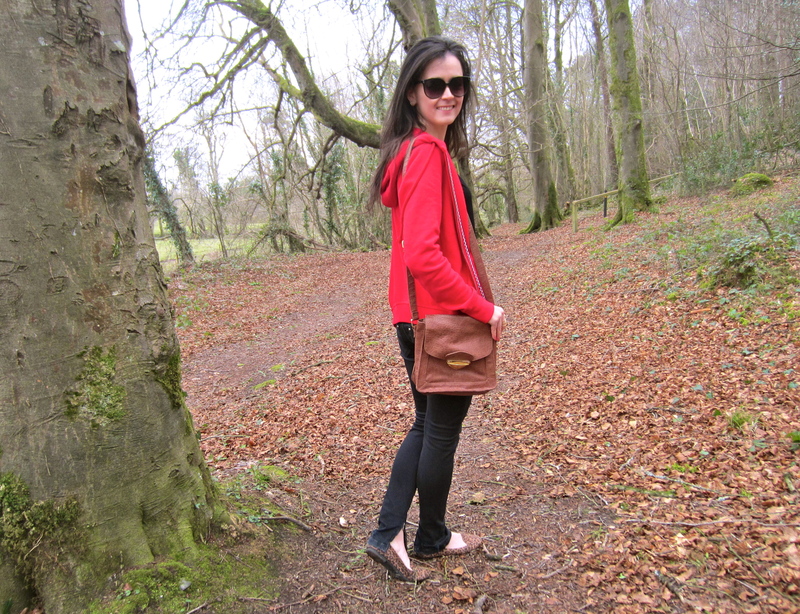 I also added this tan belt from Penneys to break up the black top and jeans. Finally, to complete the look I added a Topshop necklace, rings from Boots and H&M, and sunglasses from Penneys. 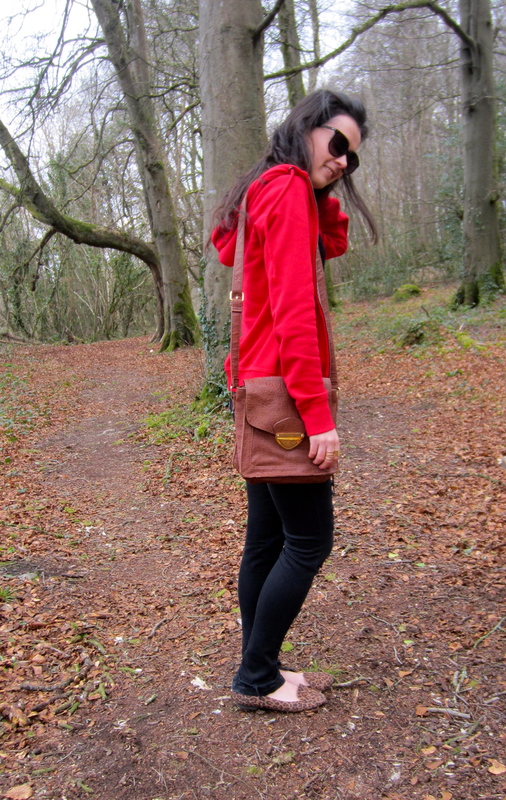 LOVE the pop of the red and your bag is awesome!